A Great Big Grump: 7 Quick Takes and Homeschool Mother's Journal - The Kennedy Adventures! It started as a low lying grumpiness, which I blamed on the weather. After a trip to visit with my friends in Peoria, I came back feeling a little better, with loads of ideas for things to tackle in my life. I moped around the house yesterday, grumbling about Valentine’s Day, even though my sweet husband and the Kennedy Kaboodle bought me flowers, a back brush, Sour Patch kids and (thank you, Lord) a liter of Mexican Mudslide. I read this post from my friend Leanne and thought, A-HA! Time to put on the Armor of God, peeps. In our homeschool this week …. I decided that the boys really needed to get back into doing school. Ahem. Why, yes, they’re almost five. Don’t ask me what they can do academically. I’d much rather impress you with my tales of how they can dig a ‘mud hole’ and fill it with water in my back yard in 40 degree weather. Surely that’s some sort of engineering, right?? 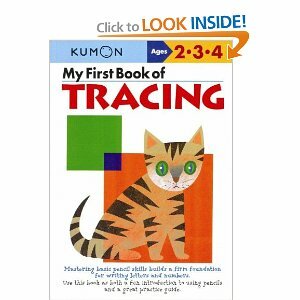 I picked up these Kumon tracing workbooks, which they LOVE. They detest writing, so I’m always looking for fine motor activities. I’m still hoping that one day, they will magically pick up the pencil and write me a poem without complaining. 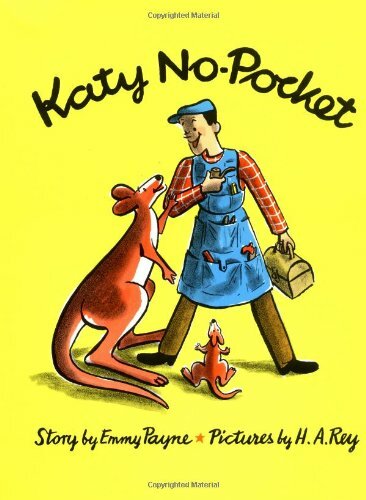 All the kids adored Katy No Pocket this week as our read aloud. How have I managed to miss this book until now? Completely adorable. 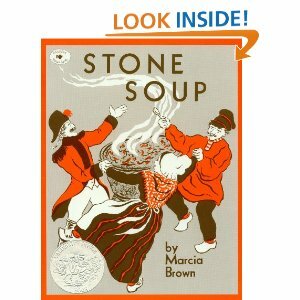 Rachel just finished reading Stone Soup, which will soon be another favorite of mine. I think we need to go back and read it again. She missed the whole sneaky concept of sharing. My husband, who loves me despite my grumpy funk, whining about being sick, and stomping out of Ash Wednesday Mass because the children were being cantankerous. Places we’re going, people we’re seeing …. More thanks to my husband for driving me and the kids to Peoria at the beginning of the month. I wanted to see my friend Lisa speak, along with the amazing Sister Helena Burns. I was blown away by the Midwestern hospitality of Nancy, Bonnie, Marcia and Marie. Love you ladies and wish you were closer! Now, who wants to help me organize a monthly women’s Catholic fellowship? I have loads of ideas, just need many hands to get it started. I’m one of those moms who usually picks up a small gift for the kids for Valentine’s Day. This year, I spotted some Anamalz on sale and squirreled them away. 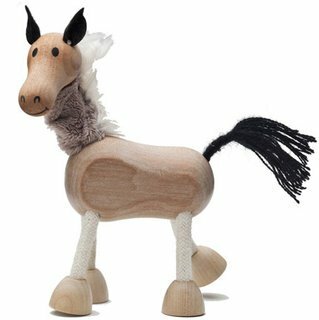 Rachel got a horse and a kangaroo (just perfect for our reading this week), while the boys got dinosaurs, of course. I also made them some heart shaped cinnamon rolls for dessert, compliments of Pinterest. Be jealous. It was stressful, shaping those suckers into hearts. A family member who is ill …. For our beloved Pope Benedict as he finishes his pontificate and for the conclave as they elect a new Pope. Things I’m working on ….. Even though you haven’t seen me here on my own site for a bit, I’ve been spotted in other places. During this Lenten season, I’m determined to get out from the clutter that’s overwhelming my house and spirit. Enter 40 Bags in 40 Days. I have my first box at the front door, ready to go to Goodwill, and I’m hoping to take two boxes of borrowed stuff back to friends in the next few days as well. You can find more Lenten resources over at Catholic Mothers Online. If you’ve got small children in your home, you’ll want to stop by New Evangelizers and check out 10 Tips for Teaching Your Children to Pray. Rachel’s been fascinated by my rosary from Trendy Traditions, so I think I might have done something right. It is the sweetest little book EVER! We’re big Curious George fans around here, so I’m not sure how we ever missed it. I never read Stone Soup — well, at least I don’t think I did, but the premise sounds somewhat familiar. You’ll have to head over to my friend Mary Jo’s site. (154 Hidden Court) — she was a bookseller in a former life, so y’all will get along swimmingly. I adore this title. I am a big ol’ grump lately, but due to Lent have to pretend I am not. I am so glad you celebrated St. V Day because I was getting irritated at all these Catholics too holy to celebrate during Lent. Frankly, if you can’t find a way to do an act of sacrificial love for your family, you lose at Catholic. Also, came here via Conversion Diary because of your post title!! what?? Too holy to celebrate during Lent? Pshaw! You’d better believe we’ll be making a big deal of St Patrick’s Day, too! I’m glad you’re on the grumpy train. Well … not glad you’re there, but glad I’m not alone. What is it???? I’m trying to shake it, but it’s like a cockleburr. I really enjoyed visiting your site this morning and getting lost in the archives. (as lost as I could, with a baby on my lap) Reading your thoughts reminded me to embrace these distractions of motherhood — they will not be here forever. The moment I saw the title of your post in my inbox, I just knew I had to comment, my dear. I’ve been a huge grump these days, too. More because of the stress I’ve been feeling over all the writing/editing work I need to do, I guess! I’m glad to know I’m not the only grouchy wife and mom around — funny, I vowed to be less grumpy and all before the beginning of Lent, as one of my “sacrifices”! Oh well, like you said, it is REALLY time to put on the Armor of God! 🙂 Privileged to be doing it with you and all the wonderful moms out there! I KNEW the title would catch some eyes! It’s been bad. Kind of like I’m slowly drowning ….. up for a bit, then back down. We won’t even discuss how behind I am on writing projects. ARGH. Armor up and we will pray for each other. Love to you. oh, K, you make me giggle. DUDE — these were from a can! They looked a little like owls, and a tiny bit obscene.